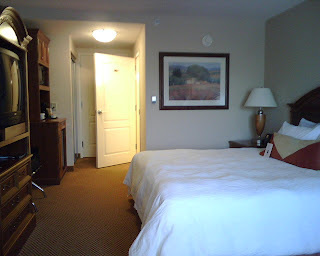 I recently stayed at the Hilton Garden Inn in Columbus GA for two nights on business. The area around the hotel and the hotel grounds are fantastic and very well maintained. All the facilities in the hotel are fantastic with a fitness center and pool/hot tub area which are very clean and in good shape. The rooms are standard Hilton Garden Inn rooms, very clean, very well maintained and housekeeping does a great job. The beds are extremely comfortable, probably some of the most comfortable that I have stayed in at any Hilton Garden Inn. The sheets and comforter were noticeably softer then usual, I wish they were all like this. The staff at the hotel are very friendly and helpful.Overall and excellent business stay and I would easily come back again next time I am in the area.